Elderly people are more prone to degenerative meniscal tears as the meniscus wears out and weakens with age. A torn meniscus can cause pain, swelling, stiffness, catching or a locking sensation in your knee. Your orthopaedic surgeon will examine your knee, evaluate your symptoms, before suggesting a treatment plan. The treatment depends on the type, size and location of tear as well your age and activity level. If the tear is small with damage in only the outer edge of the meniscus, nonsurgical treatment may be sufficient. Most degenerative tears do not require surgical treatment. However, if symptoms do not resolve with nonsurgical treatment, surgical treatment may be recommended. 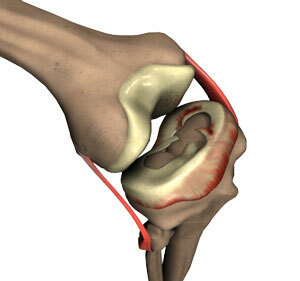 Knee arthroscopy is the commonly recommended surgical procedure for meniscal tears. The surgical treatment options include meniscus removal or partial removal (meniscectomy), meniscus repair, and meniscus replacement (rare). 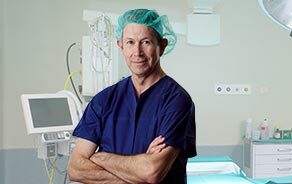 An arthroscopy is where a tiny camera is inserted through a tiny incision t enables the surgeon to view inside of your knee on a large screen. Through other tiny incisions, surgical instruments are inserted to perform the surgery. For meniscectomy, small instruments called shavers, scissors and radiofrequency ablators are used to remove the torn meniscal segments. In arthroscopic meniscus repair the torn meniscus is repaired with internal sutures.